GILFORD—It began as a tag-on event to Laconia Athletic & Swim Team’s Cycle Mania fundraiser for the Children’s Auction, and now, nine years later, Patrick’s Pub Mania is billed as the “World’s Greatest Barstool Challenge” by Patrick’s co-owner and event referee Allan Beetle. 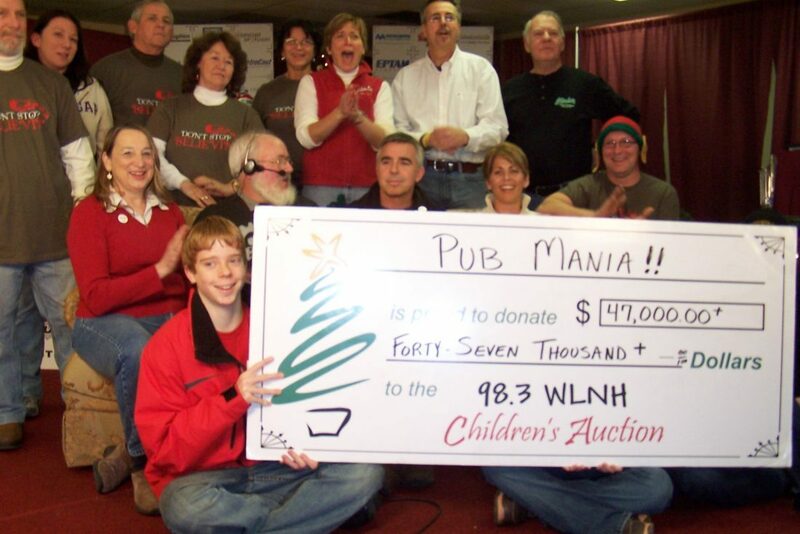 This because Pub Mania raised $47,000 for the Children’s Auction during the initial Pub Mania event in 2009 and raised the bar to a record $303,630 last year for a total of $1.6 million. Thirty-two teams each lay claim to one barstool, and each team has 24 participants (aka Culinary Athletes), one for each hour of the 24-hour event. Participants raise and/or donate money, many working throughout the year on fundraising. 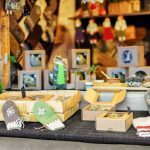 This year, they will show up to sit on their stools and celebrate their accomplishments, beginning with Open Ceremonies on Dec. 6 at 9 a.m.
What follows are 24 continuous hours of music, games, contests and antics designed to allow participants to have a fun and memorable visit, hopefully returning the following year inspired to participate again. Beetle said Pub Mania’s team captains are the backbone of the event, building and inspiring their teams to contribute, fundraise and show up ready to have fun around the clock. What’s extra special this year for Allan and his brother/business partner Jeff Beetle, and the entire Beetle family, is to have a team in honor of their father, Harvey Beetle, who passed away in October. Known by most in his community as “Scud,” Harvey Beetle loved music sung in four-part harmony, and he sang in barbershop choruses and quartets for the past 50 years. 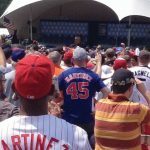 For more information or to participate in Pub Mania visit www.patrickspub.com/pubmania or email info@patrickspub.com.